Today, I’m going to show you four unique ways to use stencils. I love it when there are multiple uses for one tool. I’ve been playing with stencils from The Stencil Company for the past month, and I’ve got some great ideas of different ways you can use them. Plus, The Stencil Company has offered a nice discount code for all of my readers, so make sure to read all the way to the end! I love to use stencils for marking quilting designs for my quilts. You can read my previous tutorial on how to use stencils for quilting here. But did you know that some stencils are a great springboard for quilt block designs? I made this cute little pillow using the Geo Mini Stencil as my design guide. This is a 16 1/2″ square stencil, so it’s the perfect size for a pillow. I drafted a quilt block based on the stencil, and in two days I had a new pillow. Not only am I getting the stitching lines to guide my quilting, I’m also getting the road map for a quilt block. I used the dimensions of the grid to come up with the center pinwheel and the surrounding block elements. Quilting this pillow was the easy part! I stitched straight lines using a walking foot for most of it. I switched to free motion quilting when I got to the circles in the outside border. I layered the pillow top with batting and backing to give the stitching some dimension. The fabric is from Sweet Prairie by Down Grapevine Lane for Riley Blake Designs. The gray and yellow color palette is an easy transition for fall at my house. Stencils are also great to use as embroidery patterns. I found this snowflake stencil and thought it would make a cute little snowflake ornament for the holidays. If you’re new to hand embroidery, this would be an easy project to try. You need a square of fabric, some embroidery floss and a hoop, along with the appropriate needles. Use the stencil and a chalk pencil to mark the design onto the fabric. I used 3 strands of Aurifloss embroidery floss in natural white and a backstitch to make the snowflake. I trimmed the fabric two inches wider than the embroidery hoop and used a running stitch near the edge to gather the raw edges on the back side. A little ribbon at the top for hanging makes it complete. I have been wanting to try a technique called Sashiko. I found a few stencils that are perfect for this. I love this one because it gives you lots of options. This is a traditional Sashiko design with different inside fills. You could even leave out the fills and you would have a clamshell stencil design. I decided to give this Hemp Leaf stencil a try. It’s also a traditional Sashiko design, but I thought the straight lines would be easier to stitch. You can use embroidery floss, but you’ll want it to be thick, so use all 6 strands. Or, if you’re like me, you’ll find a package of Sashiko floss that you bought years ago and somehow got lucky enough to locate it. I’ve still got some work to do on this project. Lastly, my favorite, unique way to use a stencil is to make applique designs. You know me and applique, we get along well! This butterfly stencil was perfect for the butterfly applique block I made. It turned out SO cute! I started by tracing the butterfly parts onto fusible web (Heat ‘n Bond lite). I had to draw a portion of the center body of the butterfly myself, but that was easy. The rest of the applique process was straight forward. If you want a detailed machine applique tutorial, see mine here. I did use an applique pressing sheet to “build” the butterfly onto first. I transferred the butterfly stencil onto a piece of paper and used that as a template for placing all of the butterfly parts. Once you peel off the paper backing from the applique shapes, you place the shapes down onto the applique pressing sheet. You press it onto the sheet and then it peels off in one big piece. Now you can permanently fuse the butterfly anywhere you want. I used Superior Threads’ Magnifico and a thick blanket stitch for the applique. It adds quite a bit of dimension to the applique. I used the stencil again to mark the butterfly’s antennae. I used a purple, air soluble pen but I think a Frixion pen would have been the better choice. I used a decorative stitch (#1347) on my Bernina 770 for the antennae. If you want more information on that, see How to Use Machine Embroidery Stitches with Applique. There will be more butterfly blocks some day. I think it would be cute to alternate applique blocks with plain blocks that will be quilted using the butterfly stencil. Some day. I’m sure there are more than four unique ways to use stencils, but this is a good place to start. If you have any other ideas, please leave a comment and share. Now for the awesome promotion from The Stencil Company for readers of The Crafty Quilter. Use code tcqoct17 to get 20% off your online order. This code is valid until October 13, 2017. Have fun exploring the world of stencils! Thanks, Julie, dad-gone-it (Christian swear word! ), you are sooooo inspiring, and I cannot get enough of your ideas! The butterfly stencil idea is the BEST!!!!! Hi Julie: loved this idea of stencils. You gave me lots of ideas. Will put them into action thank you so much for all the inspirations you give me. Beautiful projects Julie!! I have used stencils before and really enjoyed them…..I need to get them out again. I can’t decide which project I like best as they are all so neat. Your applique stitching really sets off the butterfly. I recently did my first hand-stitching on wool and am sure I’ll be doing some more. Thanks for sharing. Thank you for all four of the ideas with stencils. They all are very cute but the one that really spoke to me was the snowflake in the hoop. Going to try that. My grandson found my quilt stencils and used them to trace and make a special “picture” for his aunt.It was a sweet idea and kept him busy while I got a little sewing done. Love your applique butterfly and sashiko. I adore the butterfly applique! I am always awed by how perfect your machine applique stitches are. I have learned so much from your tutorials and posts. I bought a bunch of stencils from the Stencil Company when you posted before and they offered a discount. I have really enjoyed using them. Thank you. 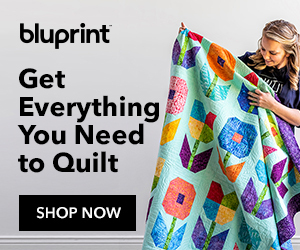 I would like to attempt free motion quilting, so I too would enjoy any advice you can offer. I need to change my email address to keep your posts coming. How and where do I do it??? Help!! Hello Julie; I really enjoyed reading your post today and learned a lot. I have several stencils that I have never used. I bought a few new and the rest at garage sales when I was trying to learn free motion quilting. I pretty much gave up on that, but I love hand embroidery and applique and will use them for these projects! Thank you so much for sharing! Have a great day! Awesome post! Thanks for all the useful ideas. Who knew?? I would love to try sashiko quilting. I bought the needles and I have lots of embroidery floss, but is there a specific type of fabric used? I used your link to find the stencils but couldn’t locate any others. In fact, I found the site very difficult to navigate. I did a search and it came up with “0” for sashiko. The fabric for Sashiko should not be tightly woven because of the thick floss used. Robert Kaufman’s Essex Linen is a good choice for fabric. It is a combination of linen and cotton and works well for this technique.